For any website that sells a product or service–whether it be a physical good or an email newsletter–there are two primary ways to increase transaction volume. One is to increase traffic, getting more potential customers into your sales funnel. 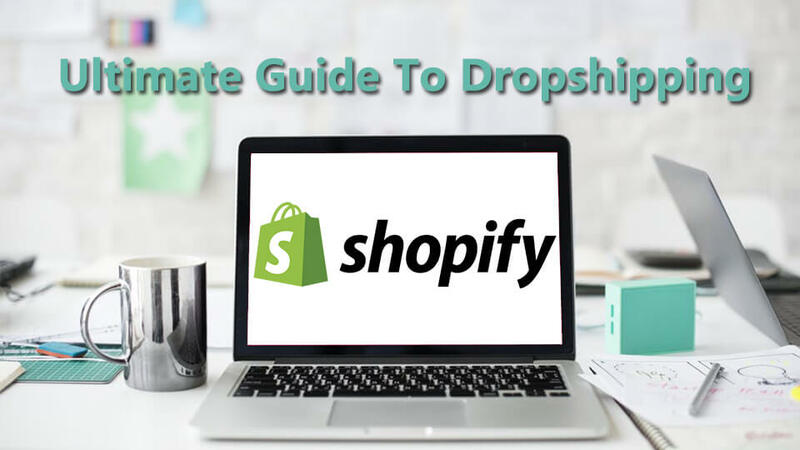 The other is to increase the conversion rate on your checkout page, getting more revenue and more customers from your existing traffic base. If you don’t have a website yet, see our homepage to learn how to create a blog. The Internet Crime Complaint Center estimates 24,000 fraud complaints each month in 2012. Shopping cart abandonment rates vary by site, but are generally between 55% and 75%. Of consumers who dropped out of a purchase, 17% mentioned “concerns about payment security” as a reason. In some surveys, as many as 61% of participants said they had decided not to purchase a product because it was missing a trust seal. In order for them to have any significance, the badges that have become common at online checkouts must have some security features behind them. 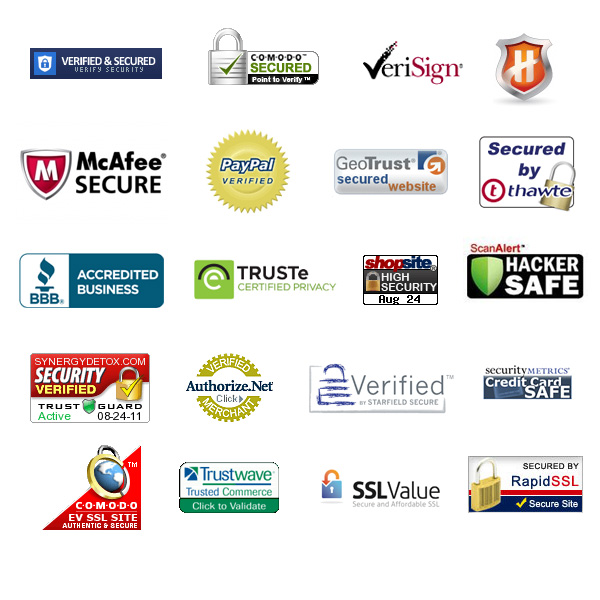 Many “trust badges” are associated with SSL, or secure sockets layer. The details of how these certificates work gets a bit complex, but it essentially creates a secure connection for information (e.g., credit card numbers) to be transmitted. There are two general types of SSLs: standard and extended validation (EV) SSL certificates. The differences are pretty minor; EV certificates require a bit more administrative effort to check out some additional information about the domains, so they will cost a bit more. Some badges–including some well-known brands–are not really indicative of any technical security features, but rather an indication of trust from a third party. The Better Business Bureau seal is a good example here; the BBB doesn’t enhance the technical security features of a site, but does indicate that the business has been examined and deemed to be trustworthy by a third party. 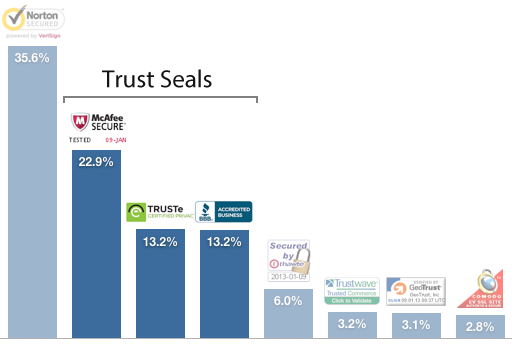 Other “trust seals” include TRUSTe. Though this study didn’t have a huge sample size, it jives with the experiences of the Web-savvy crowd who is used to seeing certain badges on the most popular e-commerce sites. Another survey from the Baymard Institute found that Norton led the way followed by McAfee. Unfortunately for sites that have benefited from the McAfee name, Intel, which bought McAfee for $7.7 billion in 2010, has announced that it will rebrand the products as Intel Security. That move comes after the company’s founder lived out a bizarre experience that involved fleeing from Belize police and escaping to Canada (reportedly without much of his fortune). Beyond the studies mentioned above, there is a significant amount of evidence to show that trust badges have a positive impact on a site’s conversion rate and revenue. (It’s nice if there’s some actual security behind the badge as well, though that might not matter all that much.) 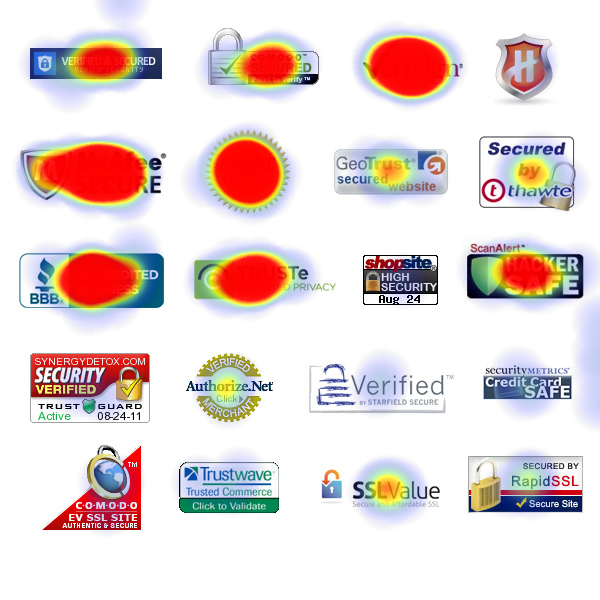 These badges make consumers feel better about giving their credit card information to an unfamiliar website, which generally results in a higher rate among new customers. (The impact on returning visitors is generally minimal, since they are more likely to trust the site already.) These badges can also impact the average order value, indicating that customers feel better about placing larger orders with sites they trust. What It Is: Symantec acquired VeriSign in 2010, consolidating two Internet security heavyweights. In addition to numerous other security products, the company offers standard and EV SSLs. USCutter reported an 11% increase in sales by adding a Norton Secured powered by VeriSign logo (though it didn’t provide the specifics on any increase in conversion rate). VeriSign also reported a significant increase in conversion rate for CarInsurance.com after implementing an EV SSL. Price: Standard SSL certificates cost $399 per year while an EV SSL will run you $995 (it gets more expensive if you’re registered outside of the U.S., Canada, Brazil, South Korea, India, or China). In other words, if you want one of the most recognized brands you’re going to pay a bit of a premium. What It Is: Trust Lock is a relatively new company offering a competitively-priced trust seal that provides third-party verification services for a fraction of the price with over 108 high-quality trust seal designs. 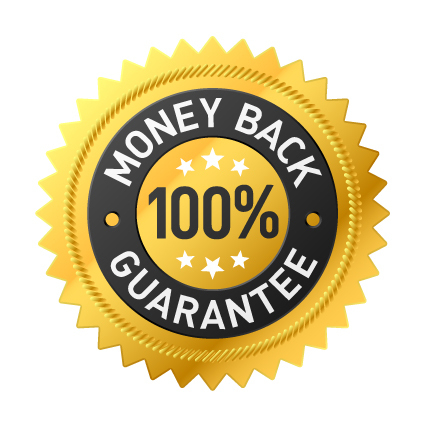 The company claims conversion increases up to 63% and also offers a money back guarantee if your sales do not increase within 30-days — unlike all other trust seal badges listed here. Has over 108 different seal designs that fit with nearly any landing page or checkout design. Use existing SSL certificate and immediately get the TrustLock Verified SSL Secure badge, no need to switch SSL certificates. TrustLock gives you the flexible option of using 3 different verifications including business, privacy, and SSL, while other companies offer only single verification options for significantly higher prices. Sites that display TrustLock seals must abide by the terms, however, their seals don’t list any star-rating or feedback %. Some businesses may appreciate not having to manage their reputation on another site like Better Business Bureau, which requires active surveillance to monitor client ratings of their website. Price: Monthly rate starts at just $9/mo for either Business Verified, Verified Privacy Safe, or Verified SSL Secure or get all 3 seals together for $19.99/mo. This ends up being only $108/year per seal, or only $239.88/year for all 3 verification seals and all 108+ badge designs and seals. What It Is: GoDaddy offers SSL certificates that come with a “Verified & Secured” badge. Price: GoDaddy is one of the cheapest SSL providers out there: $69.99 per year for a standard SSL (domain validated, with a $100,000 warranty), $149.99 annually for their premium offering (domain and company validated, $1,000,000 warranty). What It Is: TRUSTe offers a number of online security products, including a privacy package that includes a certification badge. Price: Because TRUSTe offers more customized products and services, you’ll need to contact them with specifics of your site to get pricing information. What It Is: Something you whip up on your own (or download) to give a sense of validation and legitimacy to your site. It’s worth considering (and testing) the impact a “homemade” trust badge will have on conversion rates. 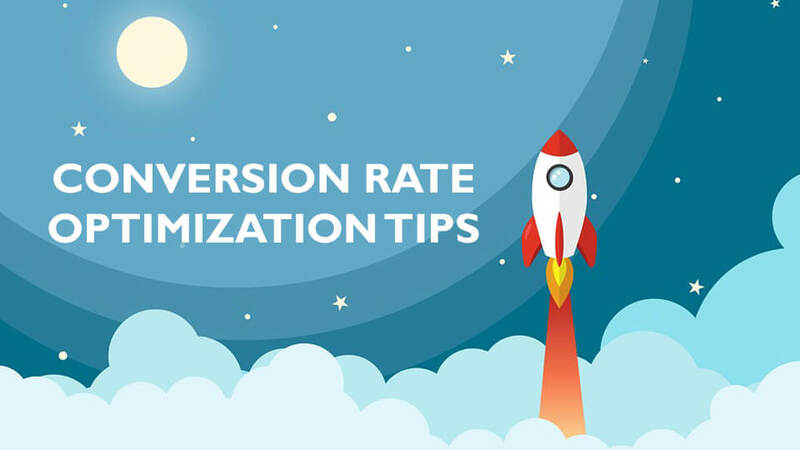 For example, Visual Website Optimizer has a case study showing that a “100% Money Back Guarantee” badge resulted in a 32% increase in conversion rate. This example obviously doesn’t speak to the security of the transaction, but instead highlights one of the primary benefits of the service. In another example, a badge awarded by a third party (but with no indication of enhanced security) similarly had a meaningful, positive impact on the conversion rate. What It Is: In addition to anti-virus software, Comodo offers SSL certificates. Case Studies: Comodo includes a case study on its site highlighting the successes of one of their customers. Zamberg.com saw an 11% increase in conversion rate and a 23% increase in the value per transaction after implementing the EV SSL. Price: Comodo offers a standard SSL for $99.95 annually or an EV SSL certificate for $449 per year. Discounts are available when multiple years are purchased upfront. If you have an e-commerce site–or any page where you can potentially take money from visitors–adding the security (and, more importantly, perceived security) of a trust badge is probably worth investigating. Odds are that a small image can have a meaningful impact on conversion rates, and help you generate more revenue from your existing traffic. We use Shopper Approved, it works well and also gives you a link. Thanks, Excelent Information. Most of them i have seen using McAfee and Norton. Have you found any solid case studies on where to place the trust symbols? We are about to add 3 to our site and while we would like to convey trust, we don’t want to interfere with the user experience. For the eye tracking, did they randomize the order of the badges for each participant? This looks like the standard F pattern, where people pay most attention to the top and left and not the specific items. Also, attention doesn’t equal recognition (e.g., bright red ones draw more attention even if people don’t recognize what they are). I put more stock in the survey. Thanks it´s a verry good article. Hi, Thank you for taking the time to read the post! You should try Warrior Forum or BlackHatWorld! Thanks for linking to my research. You have an interesting set of resources mentioned. I had not heard about the rebranding to Intel Security.